An expedition team of three women climbers – led by Lakpa Yangjee Sherpa, along with Yangdi Sherpa and Pashang Lhamu Sherpa – to climb Mount Everest this spring. Three women mountaineers are set to scale the world’s highest peak Mount Everest this spring with the aim of promoting tourism and increasing women’s participation in the tourism and mountaineering sector of the country.A press conference organised by Tourism Journalist Association on Friday shared that an expedition team of three women climbers – led by Lakpa Yangjee Sherpa, along with Yangdi Sherpa and Pashang Lhamu Sherpa – is climbing the highest summit with the slogan of ‘Mountaineering for Women’s Self-reliance’. 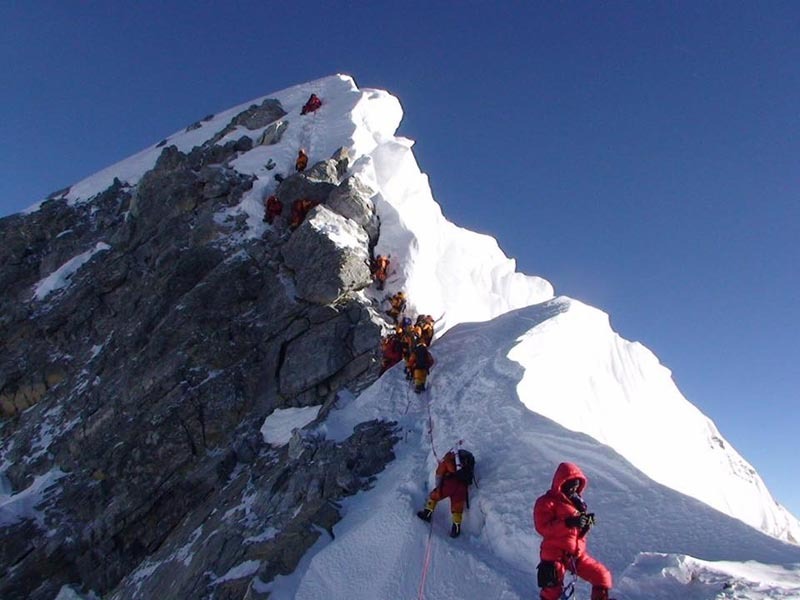 On the occasion, Lakpa Yangjee said they would start ascending the Everest from April 7 and have targeted to reach the summit on May 18 if the weather conditions are supportive. 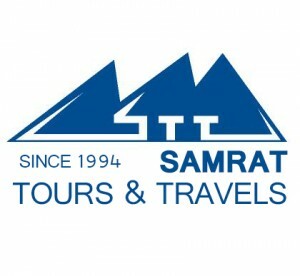 She shared that another important reason behind carrying out this expedition is to provide financial support to Dalit, single, and oppressed women who have returned home from foreign employment, along with attracting them toward tourism sector for income generation that would ultimately make them self-reliant. 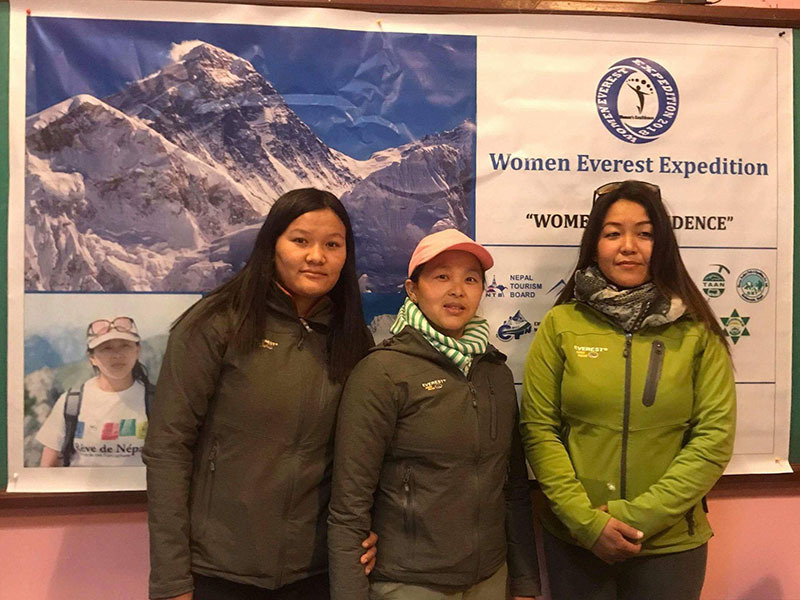 Everest Hardware is providing necessary logistic support to the women mountaineering team who is climbing the highest peak through Ascent Himalayan Trek and Expedition Company. The mountaineers hailing from Solukhumbu have been working in the field of mountaineering and tourism for a considerable amount of time. Tagged climbing, Mount Everest, Samrat Nepal. Bookmark the permalink.